Butser Rubber supply a comprehensive range of Rubber, Silicone and Viton balls for a vast array of industries including Aerospace, Defence, Marine, Automotive and Food & Drink. Viton is a DuPont brand of synthetic rubber and fluoropolymer elastomer (chemical symbol FKM). Viton has excellent high temperature resistance, corrosion resistance and ageing resistance. We have an in-house rumbling process to remove as much of the seam line as possible as well as Cryogenic freeze trimming and other blade trimming process. Butser Rubber have an extensive history of manufacturing and supplying critical rubber and Viton balls for a range of industries including Automotive, Manufacturing and Aerospace. 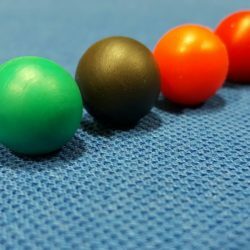 Rubber and Viton balls have a range of applications including valves. 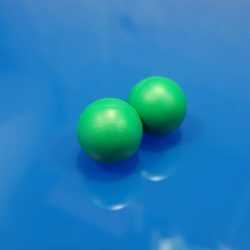 Butser Rubber can manufacture Rubber and Viton balls to customer specification. We offer an extensive range of materials to choose from in order to meet project requirements including high temperature and chemical resistant materials. We can also provide relevant documentation including Certificate of Conformity and PPAP Level 3. Our manufacturing capability has expanded ten-fold over the last decade due to heavy investment in automated machinery including a new microshot injection moulding machine in 2017. 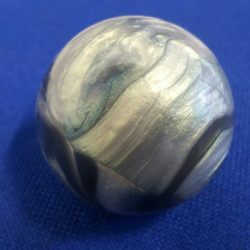 This allows us to mass produce bespoke rubber and viton balls as both prototypes and mass production.